The lovable Captain Toad is back at it again, with the re-release of Captain Toad Treasure Tracker on both the Nintendo Switch and Nintendo 3DS. The game first appeared on the Wii U on November 2014, but will be spreading to the rest of the current Nintendo family of systems this July 13th. If you are one of those that are dying to finally get your hands on the game, fret not, as the demo has become available on the Japanese Switch eShop, and to download it, all you have to do is go to MyNintendo.com, change your current region to Japan, go to the eShop under that same account and you will be automatically entered to the Japan eShop. 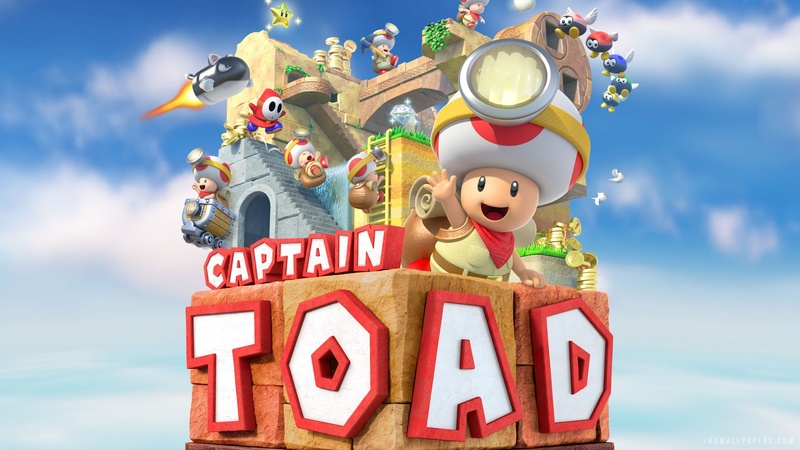 Search for demos like you normally would and you will find Captain Toad Treasure Tracker on the list. Although the demo is being downloaded from the Japan eShop, it will be displayed in English if that is your set language on the Nintendo Switch unit. The Captain Toad Treasure Tracker demo only features the first three levels of the game, but it is able to give you a glimpse of how the game controls and looks on the Nintendo Switch. Captain Toad Treasure Tracker arrives on both the Nintendo Switch and 3DS this July 13th. Sergio Acevedo is a writer at Shigerunews and Miketendo64. You can also talk with him about Nintendo happenings on Twitter and listen to his Nintendo Podcast at the Force in Unison Gaming channel.